Lake Tanganyika with cichlids in azure waters. Framed by the thickly forested slopes of Mahale Mountains – and shadows flitting in between. Look into the eyes of a wild chimpanzee. It will look familiar. Hippos swim in deep waters here and in ever-shrinking ponds in Katavi. The Wild West. Remote Katavi and its huge concentrations of buffalo on the Katisunga Plains engaged in a perennial battle of life and death with the lion prides that roam this park. Africa as it was. Africa as it still can be. This safari is for the romantics and purists among you, who dream and yearn for a wild, untouched Africa. Mahale and Katavi National Parks are located in the far west of the country and both parks fit the bill. Away from the busier northern and southern safari circuits, these are two hard to reach pieces of paradise and as a result, few people make it all the way here. After a relaxing day at Arusha Coffee Lodge to soak in the sounds and smells of Africa, you will take a flight that traverses the breadth of the country and deposits you at a small airstrip in wild Africa! Here you will find the charming Chada Katavi Camp, hippo in their thousands crammed into shrinking pools, crocodiles retiring to caves in the mud walls of the river banks, buffalo and elephant coming down to the rivers to drink where lion, hyenas and other predators await them. After a few days here, a short flight will bring you to the Mahale Mountains rising above the shores of Lake Tanganyika. Here you will go trekking to see some of the last remaining groups of wild chimpanzee on the continent from your camp Greystoke Mahale. This is an exhilarating and unforgettable safari experience. The Mahale Mountains on the shores of Lake Tanganyika play host to one of the last remaining populations of wild chimpanzee in all of Africa. Staying at Greystoke Mahale, you will be as close to wilderness as humanly possible. The Mahale Mountains are spread over 1,613 square kms, a thick canopy of green. With absolutely no roads, you have to seek out the chimps on foot, trekking on natural forest paths. 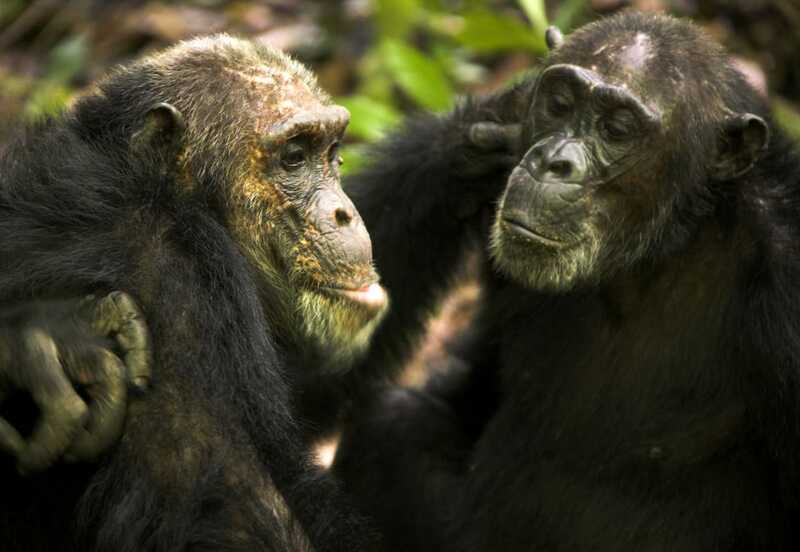 Without knowing it, soon you will be upon a family of chimps, ready to observe their human-like behaviour. 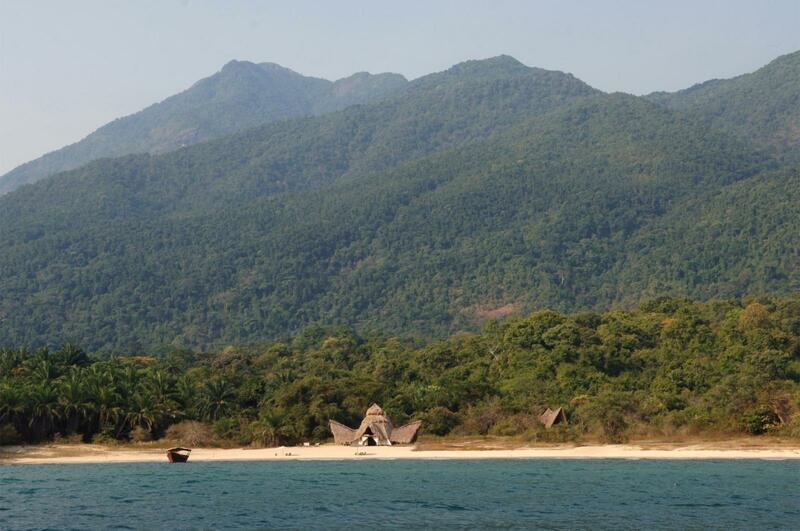 While Mahale Mountains are known best for chimp trekking, there’s a lot more you can do: from forest walks to water-based activities (dhow rides, kayaking, swimming, sailing) on Lake Tanganyika. Recommended months: June – December. Perfect for: Wildlife enthusiasts who want to travel a less trodden path and who yearn to do something different. Special activities: Game drives, guided bush walks, fly-camping, swimming, kayaking, snorkelling, dhow cruising and chimp trekking. Spend the night out under the stars in a mosquito netted tent, small but with enough room for a bedroll kitted out with soft mattress, sheets and a feather pillow. We don’t scrimp on the dining either; you’ll sit down to a three-course candlelit meal and a glass of chilled wine. But we think these are only the peripheral things, the backdrop to the main event. Take a dhow and explore the lake with its crystal clear waters and the hazy mountains of the Congo on the horizon. A picnic on the prow of a boat on Lake Tanganyika is one you will always remember! This fly-in safari begins and ends in Arusha. You will take short bush flights to the other destinations on this tour. You can also optionally end this safari on the white sands of Zanzibar.